El Toro Window & Gutter Cleaning is local to the North Shore of Sydney, from Chatswood, Willoughby and Neutral Bay to all the suburbs in between: Cremorne, Cammeray, Castlecrag, Northbridge, Artarmon, and Roseville. We guarantee your windows will be sparkling, and gutters totally clean. When window cleaning the inside of domestic or commercial properties, we take extra care by using drop sheets. We can also access most apartment windows, no matter how high! 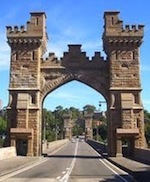 Ruki has lived in Sydney's North Shore since 2004. He is a meticulous window cleaner, giving great attention to detail. He is very sensible when planing and carrying out gutter cleaning. Clients comment on his friendliness and professional manner. He also has previous experience in the hospitality industry. El Toro sets the benchmark in the industry for window cleaning Sydney. 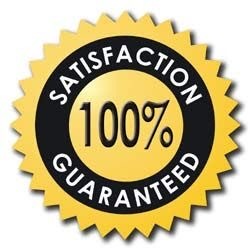 Our Sydney gutter cleaning service also leads the way in high standards, professional service and competitive prices. With our pressure cleaning and house washing service, your place will look brilliant. Get your free quote online now!